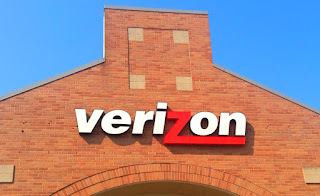 Even though Father's Day falls on June 19th this year, Verizon has a number of deals for the holiday that start today. Get a Free Samsung Gear VR with Oculuar VR experience content, a $150 value, when you buy a Samsung GS7, GS7 edge, or Note 5. Beginning today, get a free 50” Samsung Smart TV when you buy two Samsung GS7, GS7 edge, or Note 5 devices on Device Payment and activate at least one new line. ● Free 32" Samsung Smart TV. Also starting today for a limited time, get a free 32” Samsung Smart TV when you buy a Samsung GS7, GS7 edge, or Note 5 on Device Payment and activate a new line. ● $100 bill credit when you purchase a new smartphone**. The offer applies to any smartphone purchased on device payment when you switch to Verizon. You can combine it with the $650 offer to switch to Verizon. to pay off your old phone or contract when you trade in your phone for a new one***. If you’re switching to Verizon you can also receive up to $650. What’s the fastest way to score these savings? Stop by a Verizon store to complete your trade and learn about your savings.